A collection of promotional and conceptual images for online retailer and Japanese lifestyle brand STORICO. ilán’s contribution consisted of surreal lifestyle photography, dynamic product shots, dazzling influencer photo shoots, expert styling, and close collaboration with the STORICO team. ilán puts a new spin on the American road trip, with his photographic series “On the Roa," documenting highlights from his travels across the Western United States. ilán completed the last leg of his journey, at KAISU in Tokyo Japan! A bracelet collaboration with the Japanese jewelry designer AHKAH. ilán's design features a charm created from an image of his African Grey parrot and incorporates the collaboration's theme of the "star." This collaboration among others, was exhibited at the ISETAN department store in Japan, December 16-25th. A collection of photos in which photographers swap places with their photo subjects and spend some time in front of the lens. To see ilán's contribution, click THE SWAP. A group exhibition hosted by CAFÉ MODE in association with MOPLA. 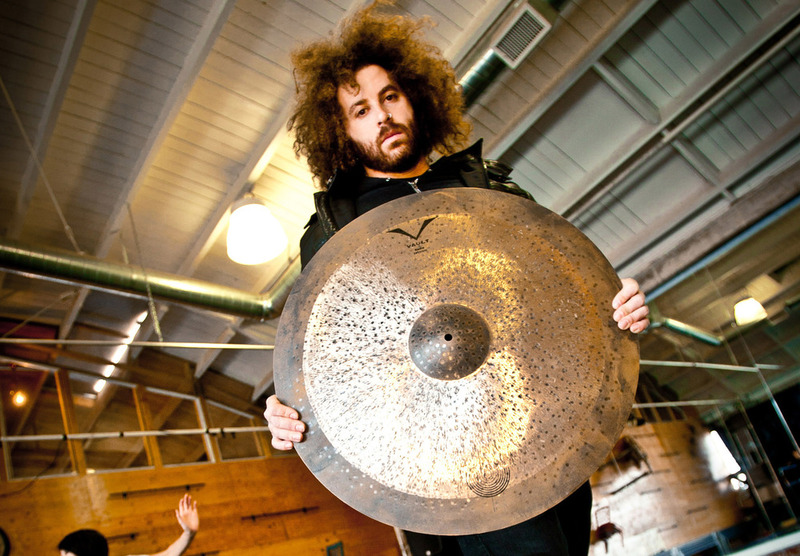 ilán's collaborations with Dave Elitch of THE MARS VOLTA, have been showcased in various publications and digital media. SABIAN CYMBALS (RIDE CYMBAL CAMPAIGN), iDRUM MAGAZINE (ISSUE 20, PG 37), and Dave's own website, to name a few. To view ilán's DAVE ELITCH, INVERTED DOUBLE STROKES video, click HERE. ilán's collaboration with drummer Rick Allen of DEF LEPPARD. Held at the Martin Lawrence Gallery in Las Vegas Nevada, the exhibition showcased ilán's light painting and his signature long exposure photography, as featured on Fox5. Televised coverage of the exhibition can be viewed HERE. ilán's collaboration with drummer Bill Ward of BLACK SABBATH. Images showcase rhythm on canvas, captured with illuminated drumsticks, ilán's light painting, and his signature long exposure photography. ilán's collaboration with drummer Marky Ramone of THE RAMONES. Images showcase rhythm on canvas, captured with a combination of illuminated drumsticks, ilán's light painting, and his signature long exposure photography. ilán's collaboration with drummer Brad Willk of RAGE AGAINST THE MACHINE. The image shown depicts Brad's performance of "Vietnow" with illuminated drumsticks, ilán's light painting and his signature long exposure photography. ilán's collaboration with drummer Mickey Hart of GRATEFUL DEAD. Images showcase rhythm on canvas, captured with illuminated drumsticks, ilán's light painting, and his signature long exposure photography. ilán's collaboration with drummer Steve Smith of JOURNEY. Images showcase rhythm on canvas, captured with illuminated drumsticks, light painting, and ilán Terrell's signature long exposure photography. ilán's collaboration with drummer Carl Palmer of ASIA. Images showcase rhythm on canvas, captured with a combination of illuminated drumsticks, ilán's light painting, and his signature long exposure photography. ilán's collaboration with drummer Jose Pasillas of INCUBUS. Images showcase rhythm on canvas, captured with illuminated drumsticks, ilán's light painting, and his signature long exposure photography. ilán's collaboration with drummer Scott Asheton of THE STOOGES. Images showcase rhythm on canvas, captured with illuminated drumsticks, ilán's light painting, and his signature long exposure photography. ilán's collaboration with drummer Stephen Perkins of JANE'S ADDICTION, showcasing ilán's light painting and signature long exposure photography. ilán's collaboration with drummer Frankie "Kash" Waddy (JAMES BROWN, BOOTSY COLLINS), showcasing ilán's light painting and signature long exposure photography. Shown in the COME TOGETHER exhibition. ilán's collaboration with drummer Matt Sorum of GUNS N’ ROSES. Images showcase rhythm on canvas, captured with illuminated drumsticks, ilán's light painting, and his signature long exposure photography. Shown in the COME TOGETHER exhibition. ilán's collaboration with Chuck-D of PUBLIC ENEMY, displaying ilán's fine eye for portrait photography. Showcased in the COME TOGETHER exhibition. A collaboration with ilán and Bootsy Collins (BOOTSY COLLINS, PARLIAMENT), blending digital art and photography on canvas. Showcased in the COME TOGETHER exhibition. Solo exhibition showcased black and white photographs, illustrating the connection between the 12 meridians in acupuncture and how they correlate to everyday patterns in our consciousness. Fashion and photo collaboration between ilán and Japanese clothing brand MURUA, for the TOKYO GIRLS COLLECTION. ilán signature shirts were released in Japan, in addition to his work being displayed on TOKYO GIRLS COLLECTION runways. A collection of photos based on letters of the alphabet. To view ilán's contribution, click THE ALPHABET PROJECT.